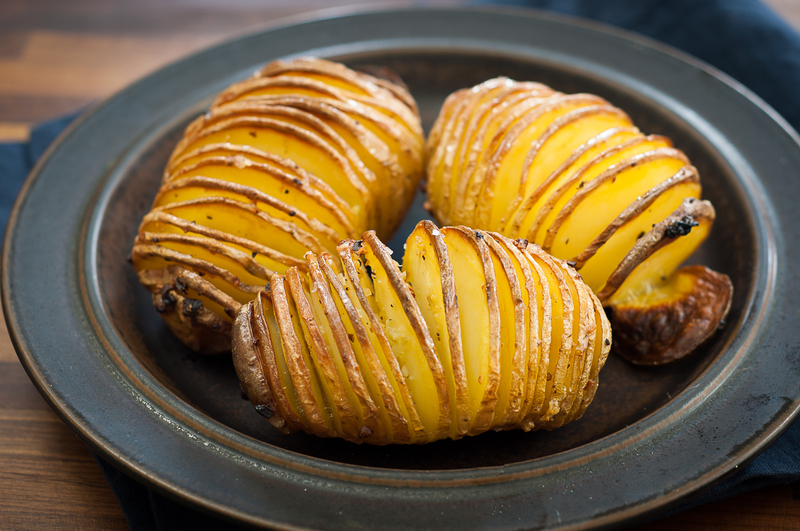 To make beautiful Hasselback potatoes, the key is how you can cut those potatoes nicely . A wood spoon will help you. Have a wood spoon under your potatoes, and then cut it evenly. So front part of the potatoes will also be connected, not like when you use two sticks besides each side of potatoes. A short video will demonstrate the idea!